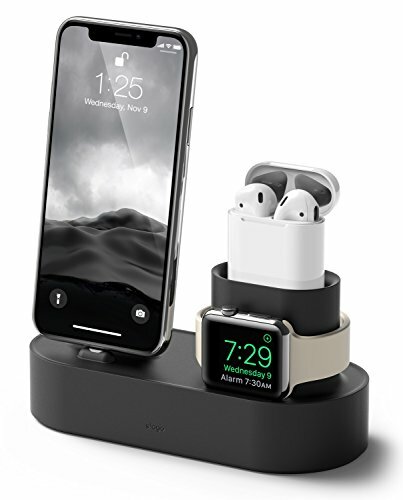 elago Charging Hub [Black] - [3 in 1 Charging Dock] - for iPhone X, 8, 8 Plus, 7, 7 Plus, and more; Apple Airpods; All Series Apple Watch by elago at Kode Fu Guru. MPN: EST-TRIO-BK. Hurry! Limited time offer. Offer valid only while supplies last. CHARGING CABLES: Original Apple Lightning Charging Cables are the only cables tested for this product (Cables not included). COLOR: Four color variations are made available to suit your taste!